Change is the only constant: The right time to castle? 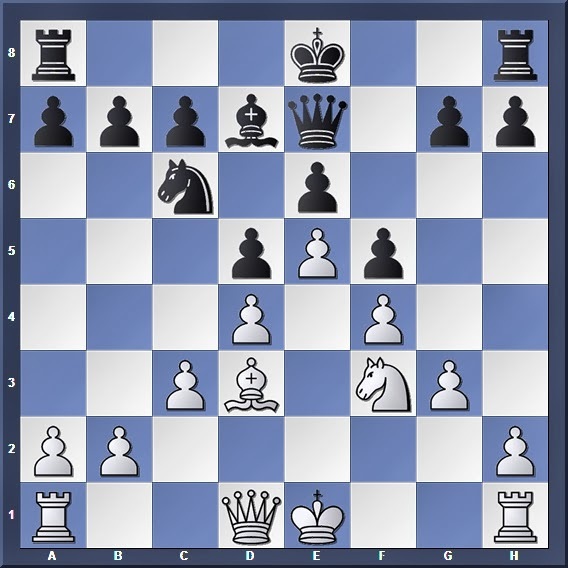 Reasons like capturing an opponent's piece or ruining his pawn structure,which may benefit you more than castling. Or sometimes, when one is confident that his attack is strong enough to break down the opponent's position quickly enough, then he may choose not to castle simply because he does not want to waste time. 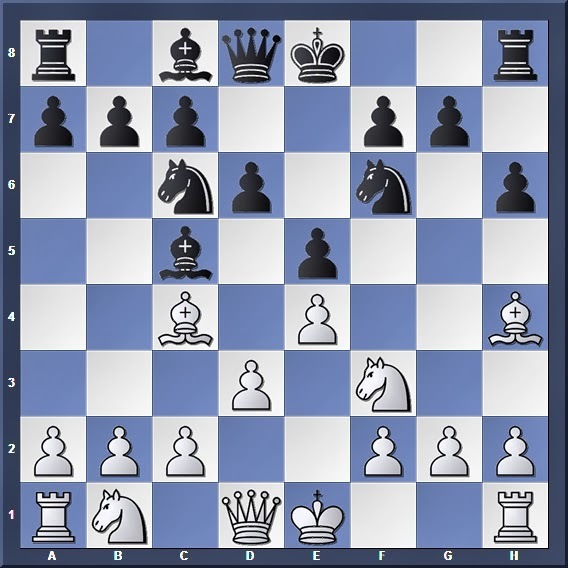 I know of players who choose to castle late/not castle at all in favour of an early attack. White resigned since 14. cxd5 leads to 14... Qxe2#. By choosing to attack rather than castle, Black manages to bring a quick end to the game. Thus it would be more logical to eliminate the opponent's threats first before castling. A simple example can be shown in the hypothetical position afrer 1. d4 d5 2. Bf4 Nc6 3. e3 e6 4. Nc3 Be7 5. Nf3 Nf6 6. Bb5. Here Black has the choice to castle kingside, but after 6... O-O White can damage Black's pawn structure by playing 7. Bxc6. Hence if Black wishes to retain his pawn structure he will choose to postpone castling by playing 6... Be7 followed by O-O later on. Here, to play 7. O-O? will be premature and incorrect, for it allows Black to reply with 7... g5! 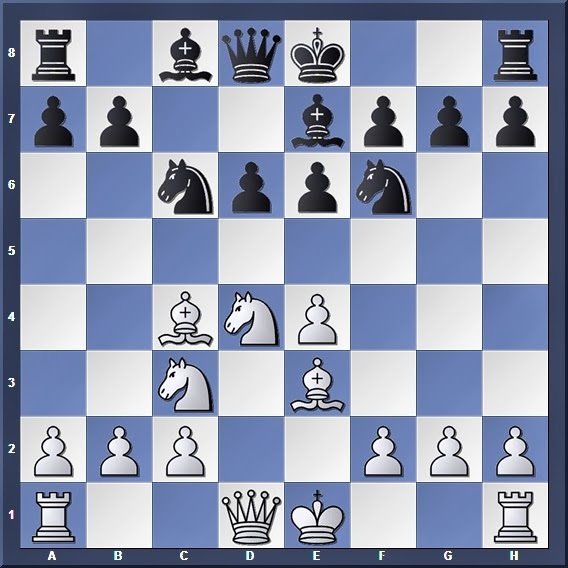 following with a pawn avalanche against White's kingside; this threat must be prevented before White can safely castle. On the other hand, if White were to play another developing move such as 7. Nc3, and then Black still attempts an attack with 7... g5 and 8... h5? !, the attack will be less dangerous because White has yet to castle. In fact, White could even get out of harm's way by castling queenside later on! 3. 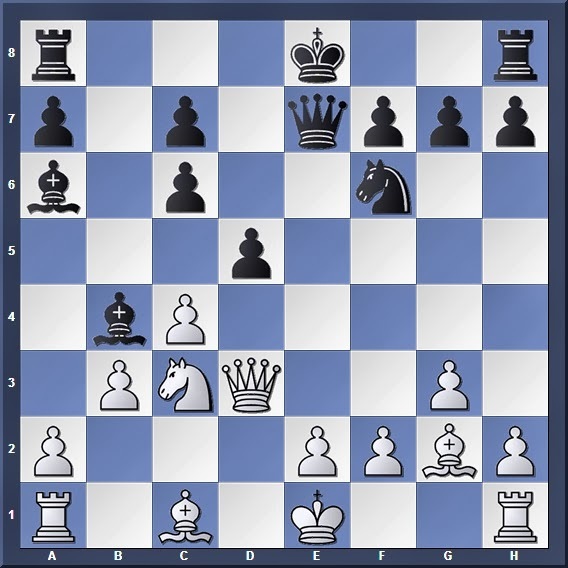 Castling is postponed when one wishes to create favourable attacking/defending conditions-- for example, he can delay till his opponent castles, before deciding which side to castle on. Remember what I said in Part 2 of my "How To Attack" series (http://nushsblackknights.blogspot.sg/2013/08/how-to-attack-part-2.html) regarding the castled position? When the king is still in the centre, he is free to choose whether to castle kingside, queenside or remain in the centre. But after castling, he has already committed himself to a protective shelter on one side of the board, and it is difficult to change the nature of this feature throughout the game. That is why sometimes, a player may choose to delay castling until his opponent castles first, because he wants to see which side of the board the opponent has been committed to before making his own decision on which wing to castle on. If he is aiming for an attack, he will most likely castle on the opposite wing; if instead he wants to avoid being attacked, he will castle on the same side as his opponent. It is White's turn, and he can choose to play 8. O-O. But by doing this he will find it difficult to attack his opponent after Black plays 8... O-O, for his king gets into the way of the attacking White pieces. Thus, rather than castling straightaway, he makes further preparations to castle on the opposite wing-- for example by playing 8. Qe2 followed by 9. O-O-O, in which his pieces get maximum freedom to attack Black's kingside. Once again, White can choose to castle kingside immediately, but by doing this he allows Black to castle kingside too, thus averting the chances of White launching a strong attack. So perhaps he should play 1. Qd2 and 2. O-O-O later on? But what if after 2. O-O-O Black replies with O-O-O, and then White suddenly finds that he cannot launch an attack without compromising his own king's position? So the best choice for White will be to play 1. Qe2/Qd2 first, and let Black decide which wing to castle on. If 1... O-O then 2. O-O-O, or if 1... O-O-O then 2. O-O. White castles on the opposite wing from his opponent in order to get the maximum freedom while carrying out his attack. In positions where the pawns obstruct the centre such that it is impossible to break through in that theater, the most logical plan for both sides will be to launch their attacks along the wings. In such a case, the kings will actually be safer in the centre (at least for the time being) as compared to when they are on the side of the board! Here Black can safely castle queenside; if White continues 4. O-O-O the possibility of a flank attack disappears, while if 4. O-O Black can launch his own counterthreat with 4... Rfg8, threatening 5... g5. Although over here the preliminary skirmish has ended with castling, there are also other cases where the centre is so clogged up, the kings choose to stay in the middle throughout the course of the game. The statement speaks for itself; I guess I don't really need examples to help illustrate the point. And these are a few cases in which the postponement or total abandoning of castling can be justified. However, to decide whether or not to castle, or when is the right time to castle, ultimately lies on the player's own judgement and the features of the position itself. Oh, and one final hint: Even if you do have justifications to postpone castling, it is always good to get ready to castle anytime, so that you can do it quickly if the situation around the king's central position gets too hot. There can be a big difference in spending one or two tempi , especially when your opponent is attacking you. Thus, the best policy for one will be to get ready to castle as soon as possible (i.e. clear all your other pieces off the back rank), before deciding whether it should be postponed or not.